Maddie's Fund® has a long history of collaboration with The Humane Society of the United States (HSUS), dating back to the Asilomar Accords in 2004. Since then, we have provided HSUS with more than $11.7M in funding, ranging from small Special Giving and Conference Sponsorship grants to large multi-year projects like The Shelter Pet Project, Sister Shelter Project, Companion Animal Population Management Program, Puppy Mill Campaign and Gulf Coast Project. Puppy Mill Campaign: With the assistance of Maddie's Fund, HSUS created an online campaign in January 2014 to raise awareness of inhumane conditions in puppy mills and encourage consumer change. Our total funding was $4,053,750 and ran through December 2016. In their research for this campaign, HSUS learned that even those aware of puppy mills did not know of the abuse and neglect that occur in them. They also discovered most consumers do not associate puppy mills with puppies available in pet stores and over the Internet. As a result, the online campaign, featuring messages like Same Day Pups and Don't Buy into Puppy Mills, was designed to raise awareness of inhumane conditions in puppy mills and encourage consumer change. Additionally, in the Fall of 2016, HSUS ran a social media outreach campaign that revolved around a video called "A Children's Story". The campaign has intercepted 129,908 shoppers searching for a puppy online. 'Don't Buy into Puppy Mills' received 238K unique visitors, 27% of which were from the hoax site. The Children's Story video has been viewed 6M times. The three campaign videos (Same Day Pups, Children’s Story, Checklist) received nearly 7M views combined. Campaign website received a little over 1M unique visitors. 663K puppy shoppers were intercepted. The Sister Shelter Project: In 2016, Maddie's Fund approved a three year $279,000 grant to support HSUS' Sister Shelter Project, which launched at the end of 2016 and is part of HSUS' Humane Puerto Rico Program. 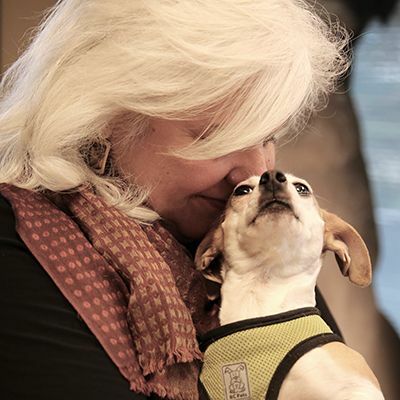 The Sister Shelter Project pairs the 11 shelters/sanctuaries in Puerto Rico with mentor shelters in the U.S. HSUS utilized their Emergency Placement Partners (EPP) for pairings. Identify capital needs and/or repairs; coordinate volunteers from community and US. Potential to transfer animals from Puerto Rico to EPPs (optional/variable per shelter). Companion Animal Population Management Program: In 2017, Maddie's Fund approved a one-year $250,000 grant to support HSUS' companion animal (specifically dog) population management program through expanding the program on the main island of Puerto Rico and launching it in Vieques island and Culebra island. Their ultimate goal is to achieve a sterilization rate of at least 65% (the point at which puppy production begins to equal dog mortality) in order to stabilize populations. Their activities extend the reach of animal welfare services, expand spay/neuter capacity and target some of the most notorious hot spots for street dogs and feral cats. As a result of these efforts, demand for veterinary services and veterinary capacity has and will continue to increase, and local shelters and animal welfare groups will be empowered to move beyond constant crisis management. The Shelter Pet Project: Maddie's Fund has partnered with the Ad Council, The Humane Society of the United States, and the entire animal welfare community for The Shelter Pet Project, a public service advertising campaign that encourages animal lovers to go to an animal shelter or rescue organization to adopt a pet. The campaign's focus is to find homes for the 2.4 million healthy and treatable dogs and cats who are dying in shelters each year. The Shelter Pet Project marks the first Ad Council campaign to focus on pets. Since 2009 through 2018, this campaign has generated more than $366M worth of donated advertising time and space. In the past year alone, there have been more than 700,000 searches for adoptable pets. Visit The Shelter Pet Project website to search for a pet and see current creative advertisements. Through 2018, Maddie's Fund's total investment in this project is $4,731,031.69. The Humane Puerto Rico Spay-A-Thon Project: Thousands of dogs and cats were successfully spayed, neutered and vaccinated in Puerto Rico, thanks to Maddie. The Humane Society of the United States, along with 22 organizations, launched the Spay-a-thon in Puerto Rico in June 2018. In all, 5,608 dogs and cats were helped in the first of four events. Over the course of a week, teams worked 14-hour days in 90-degree heat, in tandem with local veterinarians, technicians and volunteers. Pet owners lined up as early as 8 p.m. the night before, with capacity being reached well before 6 a.m. Not only did they stay overnight, but many brought cushions for their pets, while the pet owners sat on concrete. While in recovery, many owners sang to and hugged their pets. The initiative aims to spay and neuter at least 20,000 dogs and cats at no cost to pet owners by June 2019.